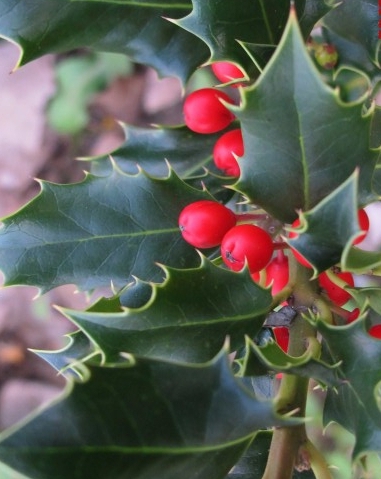 The holly branches along with their red berries are widely used in decoration at Christmas time. We offer hollies by 4 or 5 branches. They will not fail to add a touch of color to your decoration. Use them to decorate your door, to make a Christmas wreath, to add a final touch to your celebration table, etc. The holly leaves will also be sensational on a Christmas log.